The first Florida Republican gubernatorial debate mainly focused on national issues and how they affect Florida, giving U.S. Rep. Ron DeSantis chance after chance to put Florida Agriculture Commissioner Adam Putnam on the defensive Thursday night. 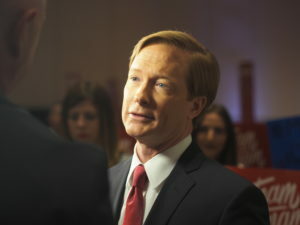 The Fox News organized, moderated, and televised debate highlighting the first day of the Republican Party of Florida’s Sunshine Summit at the Gaylord Palms Resort Thursday night, and pressed the two on issues ranging from Supreme Court picks to President Donald Trump, and from international tariffs to immigration reform. While Putnam pressed his conservative values and credentials hard on everything from tightening abortion laws to gun control, DeSantis accused him of being soft on the estimated 850,000 illegal immigrants in Florida because Florida’s agriculture industry may want them, while waving his own endorsement from Trump like a trophy. “He has been weak on the border, weak on immigration,” DeSantis charged to Putnam. Putnam had few chances to talk about issues he’s watched dominate much of Tallahassee in recent years such as school reform, land conservation, jobs growth, or state budget priorities because they never remotely came up. 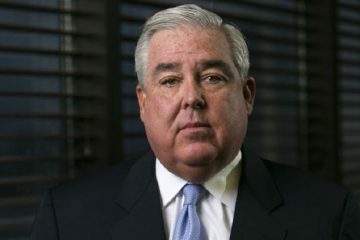 “I care more about the jobs in Ruskin [Florida] than about Russia,” Putnam said, one of several attempts, mostly that went nowhere, to turn the attention to Florida state issues. — DeSantis promised to end all sanctuary cities, and threatened to remove from office any local official who tries to establish sanctuaries for illegal or undocumented immigrants, “if I’m allowed to.” But he did not commit to supporting deportation of the 850,000 estimated illegal immigrants in Florida, saying that was a Washington matter. — Putnam strongly said he would support tougher laws against abortion, noting that he has promised to sign a “heartbeat bill” banning abortions once a fetal heartbeat is detected. However, even when the question was repeated, he did not say whether he wants to see the next Supreme Court justice be someone ready to overturn the landmark Roe V. Wade decision. “As governor, I will always pursue a pro-life agenda,” Putnam said instead. — Both of them fully stood by Trump. DeSantis noted his endorsement several times and pointed out that Putnam had backed former Florida Gov. Jeb Bush early in the 2016 presidential campaigns and never campaigned for Trump. “You couldn’t find Adam Putnam [on the Trump campaign trail] with a search warrant,” DeSantis said. — Both of them blamed Democrats and the media for incivility and gave Trump a complete pass. Putnam agreed completely, adding a finger of blame toward President Barack Obama for incivility in the nation. 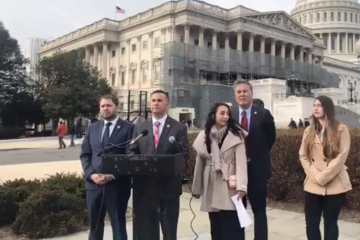 — DeSantis said he does not support reuniting children with their illegal immigrant parents until they both are deported back to their home countries. That led to a side debate in which DeSantis accused Putnam of killing state E-Verify requirements for Florida in behind the scenes efforts, to allow Florida agriculture operations the chance to hire illegal immigrants as laborers. Putnam denied that and said he fully supports Trump’s agenda on immigration and faulted Congress — and DeSantis by association — for not passing it. As for border security, Putnam pointed out, as he did a couple times earlier, that he has been endorsed by 45 Republican sheriffs in Florida, saying they are confident he would be tough. 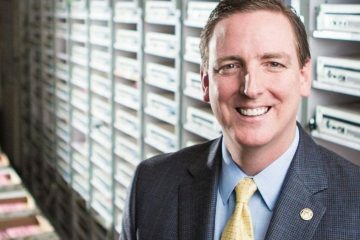 “Law enforcement has weighed our two backgrounds and weighed our two records and law enforcement is firmly in my camp,” Putnam said. — DeSantis said he would not have signed the bill in the last legislative session that sought to secure schools but also included gun control measures such as raising the minimum age to 21 for rifle purchases. 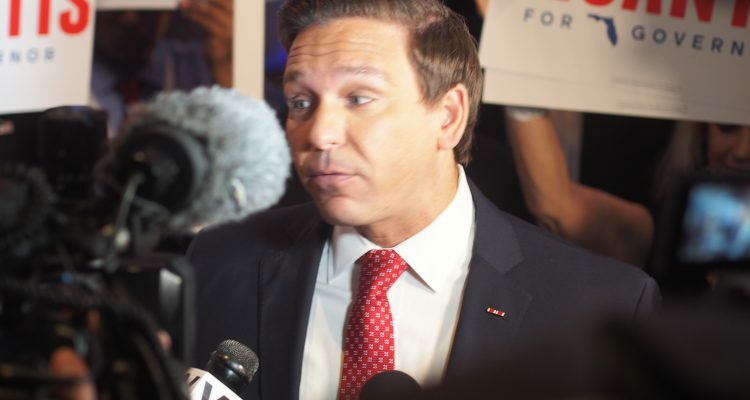 — DeSantis also accused Putnam of covering up the failure of his department to run federal background checks for more than a year on concealed weapons license permits. — Both of them stated their opposition to Medicaid expansion and Obamacare in general. — Putnam went a step farther and said he would favor requiring all able-bodied Floridians to work in order to receive any public assistance. — Putnam accused DeSantis of being an absentee candidate, campaigning from TV studios. 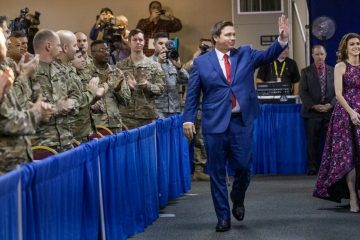 DeSantis replied that he’s been busy serving his country, as he had previously had to leave Florida to serve in the military. Still, Putnam had the night’s first laugh line, in his opening remarks. — Both of them offered support for medical marijuana because Florida voters had approved it, but both offered strong opposition to recreational marijuana, answering one of the few questions that were particularly Florida-centric.